Justin Bieber needs a break, says Billy Ray Cyrus — and Cyrus is just the one to make it happen. Despite her controversial stage antics, Miley Cyrus is one former child star who seems to have kept it all together so far. 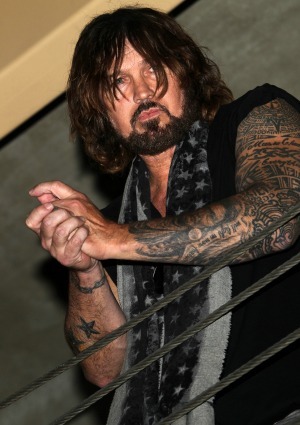 So naturally, her father, Billy Ray Cyrus, thinks he’s a parenting expert. The “Achy Breaky Heart” singer says he knows exactly how to fix Justin Bieber: with a teepee and a campfire. “A lot of people do ask me for parenting advice,” he told Access Hollywood at the Grammys. “I would say, first of all, hey, I’m sure he’s got lots of people talking to him right now. I would just invite him to come down and chill out with me, maybe in Tennessee,” Cyrus said. Bieber’s current woes include a felony investigation for egging a neighbor’s house in California, charges of DUI and resisting arrest in Miami Beach and assault charges in Toronto. In October, Miley talked to Rolling Stone about her old pal Bieber. Bieber is expected in court on Valentine’s Day to answer the DUI charges.